Live Sound Setup in the U.K.
Phill Beynon has built a successful business designing every kind of commercial space that involves live audio playback and requires everything to just sound right. After attending music college, Phill became a freelance event sound and lighting engineer. About six years ago he met up randomly with a college friend John Allard and discovered they had similar visions about running a business and decided to start NoiseBoys. His partner brings the operational, practical business experience while Phill has the technical expertise to get the most out of a room whatever the live situation. 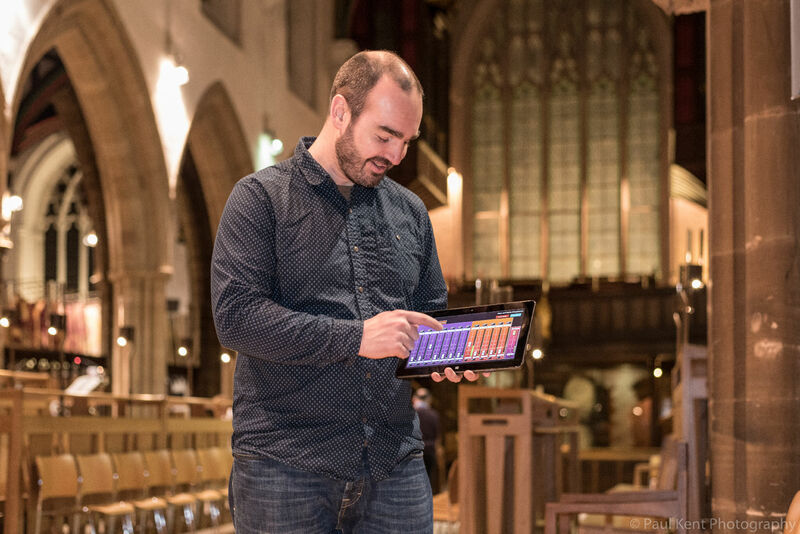 Whether it’s an install for corporate audio, special events, performance spaces, school assembly halls, churches or music festivals, FuzzMeasure is always in the NoiseBoys toolkit to see the project through. Why do you like using FuzzMeasure versus other acoustic graphing apps? 1. Speed. It just takes two quick sweeps and a shift-click to find delay times or relevant frequency information. We can get set up and measured in minutes. With FuzzMeasure it’s just a quick sweep, which actually sounds quite cool, and people working around us are hardly disturbed at all, meaning no moaning, which we like a lot. 2. Ease of use. It looks great and is totally intuitive to use, without having too much information and unnecessary options presented at once. We can find the information we need quickly and cleanly. 3. The lack of abuse from other people working in the vicinity! Most other apps require the constant playing of pink noise through the PA at high volumes in order to measure, which is pretty fatiguing, and stops whoever else is in the room from being able to communicate effectively (except to complain about the pink noise). With FuzzMeasure it’s just a quick sweep, which actually sounds quite cool, and people working around us are hardly disturbed at all, meaning no moaning, which we like a lot. 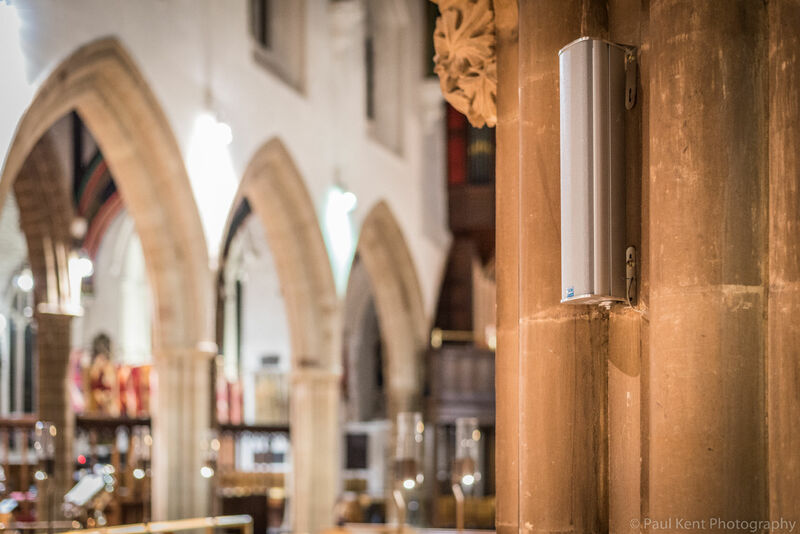 How did FuzzMeasure help you redesign Leicester Cathedral’s massive A/V system, a multiple-zoned speaker array? I wasn’t particularly looking forward to the task of setting delays in Leicester Cathedral. The setup there is such that there are speakers all over the building, but the building is zoned into a main worship space and several side chapels. The cathedral can be used as one large space, six or seven small spaces, or any combination in between. For a normal Sunday service, the main area of focus is in the centre of the cathedral, so that becomes the ‘zero point’ that all other speakers are delayed back to, but during the week a service can take place in any of the side chapels around the edge of the cathedral, and must be relayed all over the rest of the building. This complexity of use means that the ‘zero point’ changes all the time, so setting delays was quite a complicated affair. Using FuzzMeasure though, Rob "Robot" Allen (NoiseBoys' regular freelance engineer) and myself were able to set the entire system up in an hour from beginning to end, with multiple delay times for every scenario calculated and stored. It was far less painful than expected, and absolutely perfect first time. What are common problems (and mistakes!) with designing sound systems for houses of worship? Having a little knowledge about sound can be dangerous. There's always someone in a congregation who knows a bit about sound, is in a band or knows computers, who takes on the responsibility of the audio. Some of these people really know what they're doing, and that's great, but a lot don't! Once someone's seen what they believe to be the perfect product on the Internet it's hard to convince them to spend more on what they actually need sometimes! The Internet is awash with cheap tat, all claiming to be the best thing since sliced bread, and our job is partly to help people navigate through that to get to what they actually need. The limitations imposed on designing audio for churches always start with the building. 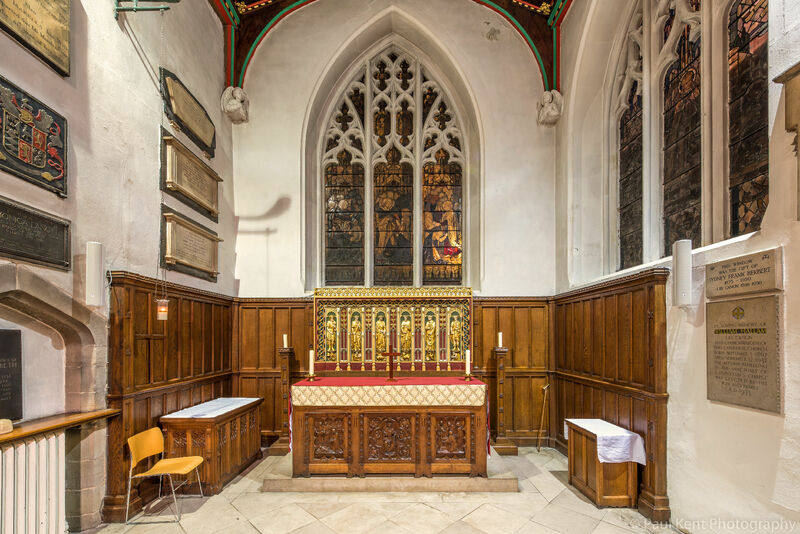 There are roughly three categories of church buildings in the UK; modern purpose built churches, warehouse conversions and traditional churches, which could be hundreds of years old. Each carries its own challenges, but it's rare to find any style that was designed with amplified audio in mind. Older churches were designed with choral music in mind so sound is electrifying when there's a choir singing, but it's a challenge for big loud speakers. 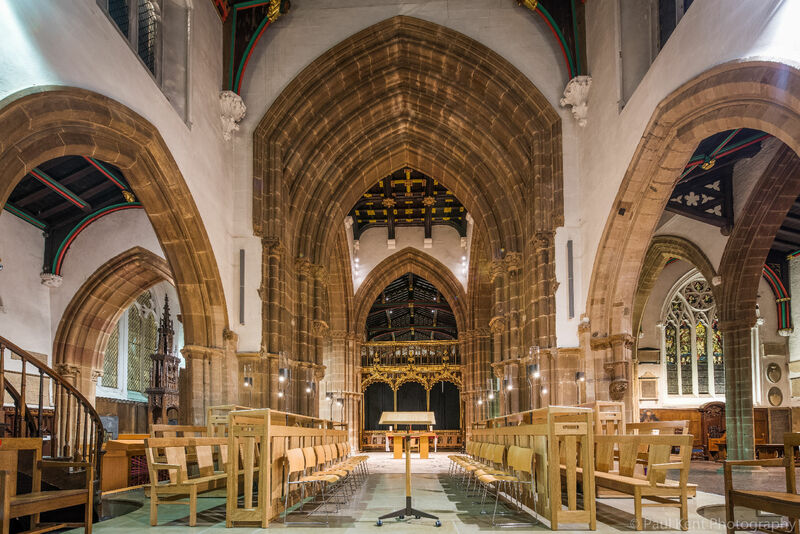 Modern purpose built churches are designed to look nice, but architects rarely design spaces with audio and acoustics in mind. The warehouse conversions are usually associated with the most modern styles of worship with full bands, drum kits, guitar amps and a lot of amplification. Yet these conversions increasingly have external noise restrictions due to them being in residential areas. What this means is that the warehouse churches are designed to keep as much sound inside as possible, which is a massive problem for the acoustics inside. We've been in brand new conversions that sound worse than the largest cathedrals due to the massive amounts of reflected sound inside! 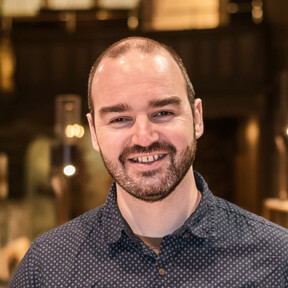 Finally, modern churches are very keen to get a kicking system where music sounds great, but often neglect the value of the clarity of spoken word. Time and again we hear systems that are fine for a six-piece band, but can't cope with a lapel mic. When every week people gather to hear a sermon preached and spoken word for at least half of the service, we need to be designing systems with that at the forefront. Similar to the older churches, small, focused speakers are needed to direct the sound specifically to where the people are. Which FM graphs do you mainly use in live sound reinforcement setups? Mostly I use the Impulse Response and Frequency RTA graphs. The Impulse Response is great for setting delay times between different sets of speakers. It’s common to have a set of main FOH speakers, subs, front fills and at least one set of delays further down the room, all of which need a different delay time. With the Impulse Response graphs we can get those delay times accurately set in a matter of minutes. Simply being able to shift-click two graphs to compare them and find the time difference is unrivalled in its simplicity. Simply being able to shift-click two graphs to compare them and find the time difference is unrivaled in its simplicity. Whilst we’re setting up delay times and comparing graphs that are overlaid on one another, it’s an automatic and instant process to compare the frequency information between different speakers in the setup. We expect variations across different speakers in different positions in any given setup. It’s really easy to make a call as to what’s acceptable and what isn’t to the audience and make adjustments accordingly. How much do FM graphs help in communicating with your clients? Clients don’t tend to be too interested in the graphs to be honest as they usually don’t know what they’re looking at! Using those graphs enables us to get the systems sounding really accurate really quickly though, which makes them happy. Occasionally the clients will express something along the lines of ‘our room has never been any good for sound', or is a ‘bit of a nightmare to mix in’, etc, and using FuzzMeasure we can show them why that is in frequency terms, and what we are doing to correct it. Any advice for getting started in testing acoustic spaces with FuzzMeasure? Just take the time to learn about it and to have a constant, quality set up of interface and mic that you always use and can rig up quickly. It's really powerful software that does a lot but don't be intimidated by the parts that aren't relevant to your industry. We use two measurements mainly, frequency and delay time, and it suits us fine! Learn what you need to learn for your situation, and get playing with it!